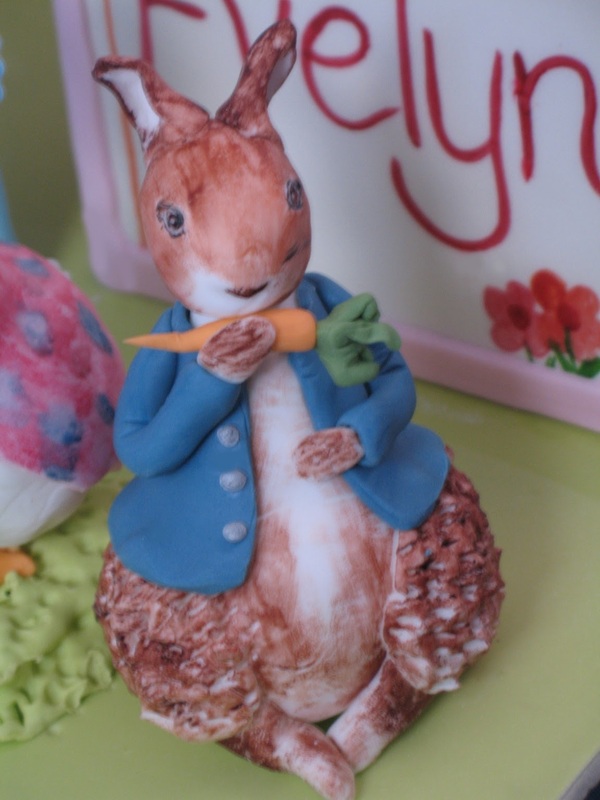 This Christening cake was made for a "supermum" at mum's school! The mother of 3 beautiful girls, she was gifted with the wonderful surprise that her 4th child would actually be twins! Evelyn and Jacob celebrated their Christening day with close family and friends. The cake was shaped as 2 Peter Rabbit baby blocks. 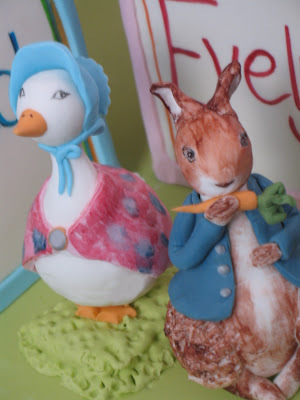 The sides of the blocks were all completely handpainted, one for Peter Rabbit and one for Jemima Puddle-Duck. One block was a lime/coconut cake with white chocolate ganache and the other was a white chocolate mud cake with white chocolate ganache. 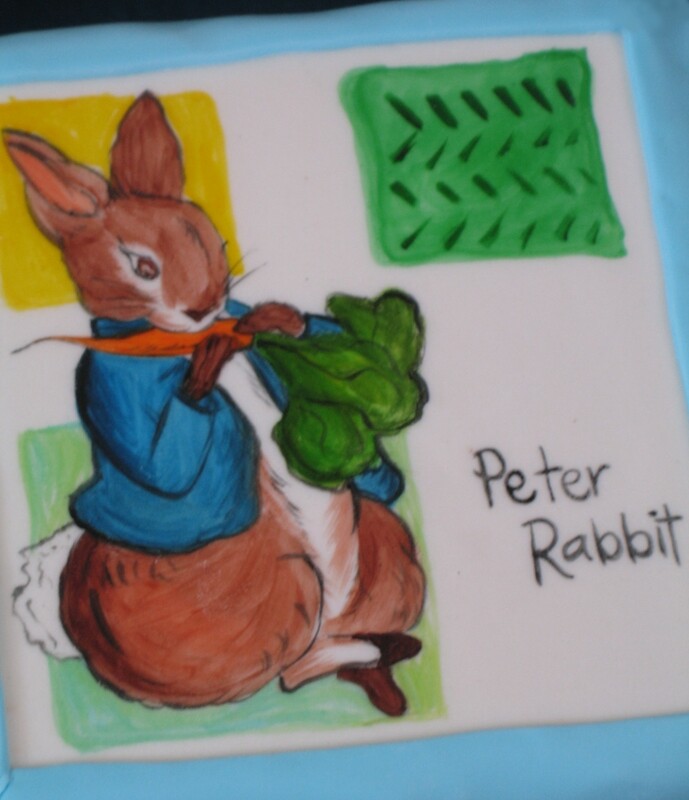 The Peter Rabbit block, all handpainted. Jemima Puddle-Duck - all handpainted. 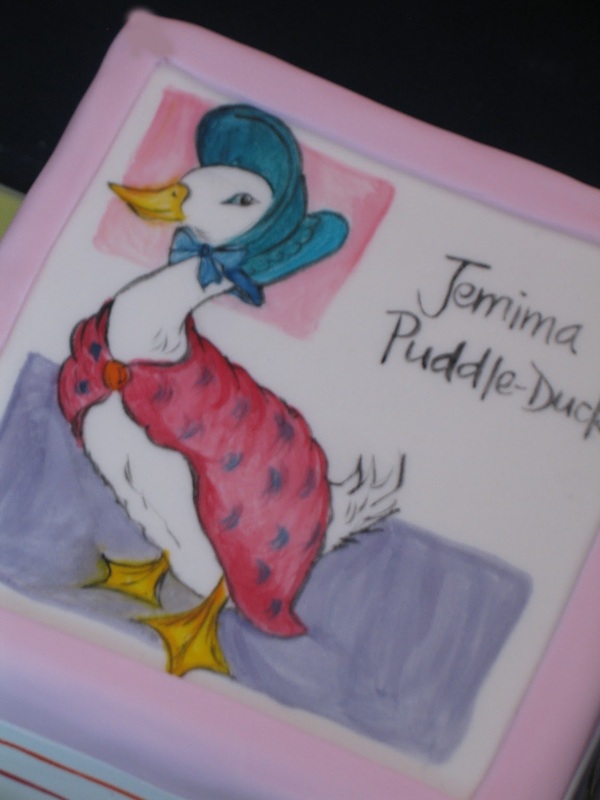 Jemima Puddle-Duck - all handmodelled and handpainted. I just have to say that the Peter Rabbit cake is amazing! It is absolutely stunning!